Fair Maid of Devon - Cider Apple Tree £12.75 - Cider Apples - Sharp and Bittersharp Apple Trees and Fruit Trees For Sale. Buy at competitive prices with wholesale discounts. 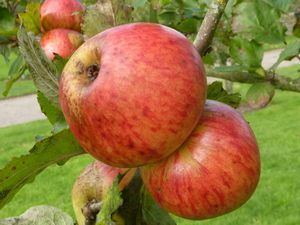 Fair Maid of Devon is a traditional mid-season sharp variety once widely grown throughout the region. 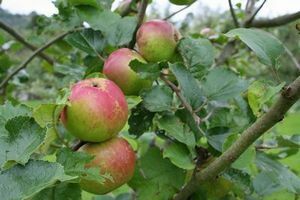 Although trees are often fairly compact in size it forms a good centre leader tree and it is notable for regular and heavy crops of apples and high yields of juice. It produces a rather thin and dry cider on its own with a rapid fermentation, but makes a good addition for blending.